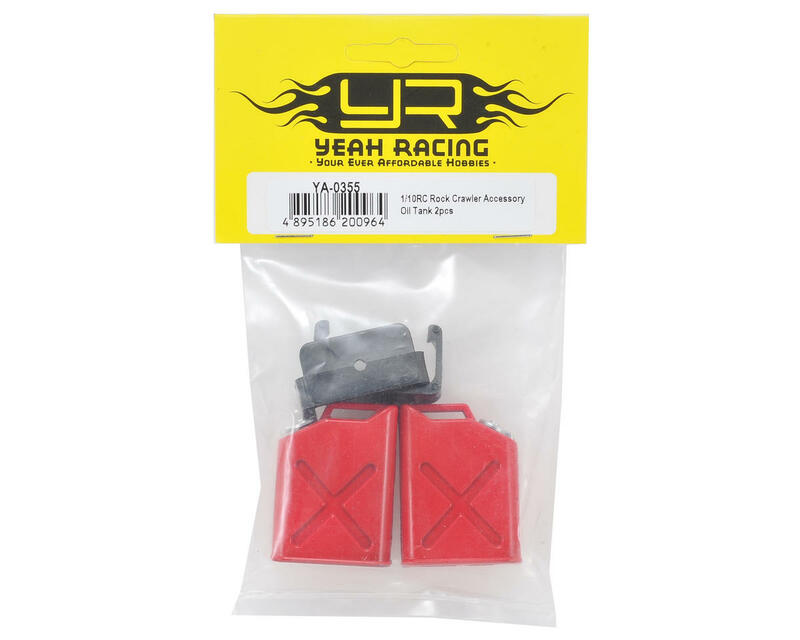 This is a two pack of Yeah Racing 1/10 Crawler Fuel Tanks. 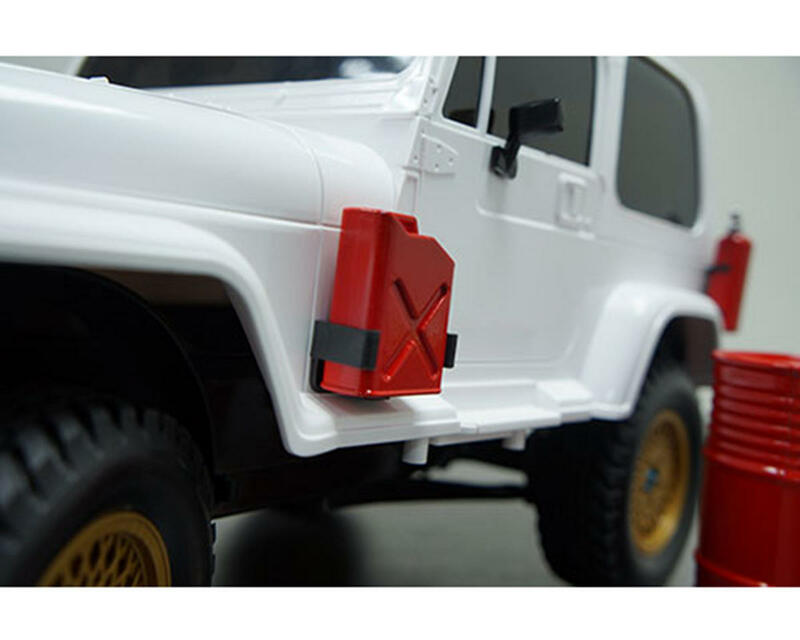 These fuel tanks, also known as Jerry Cans, are a great way to add some livery to your rig with little fuss. Both cans come pre-painted in red with silver caps for excellent detail. 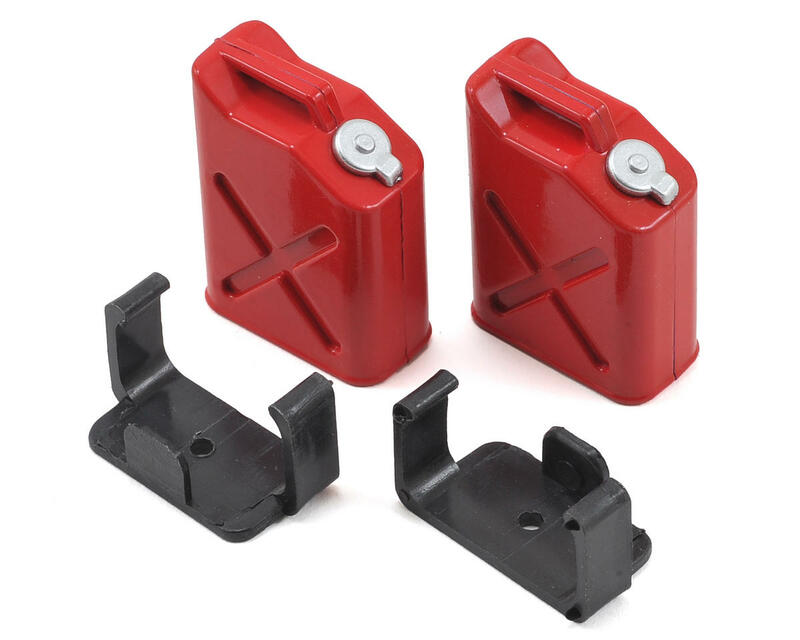 Both cans come assembled, with mounts included in the package. You will need your own mounting hardware as none is provided.